Looking for some great older games to add to your collection before heading out to spend time with family over the holidays? 2K is having a sale on several titles from its catalogue, with games like Borderlands: The Pre-Sequel, Borderlands 2, and XCOM: Enemy Within discounted at 80% off. It's a great deal, but there's one important thing to note: the Borderlands titles are Nvidia Shield-only titles, while XCOM: Enemy Within is compatible with all Android tablets and phones. Borderlands: The Pre-Sequel is a standalone prequel/sequel, as the title implies, to the raucous multiplayer shooter Borderlands. It introduces four new character classes for you to play as while taking the fight on Pandora to the tyrannical Handsome Jack before he can destroy the entire planet as well as its moon. It's on sale for $2.99, down from $14.99. Prefer to continue the adventure you started with Borderlands? 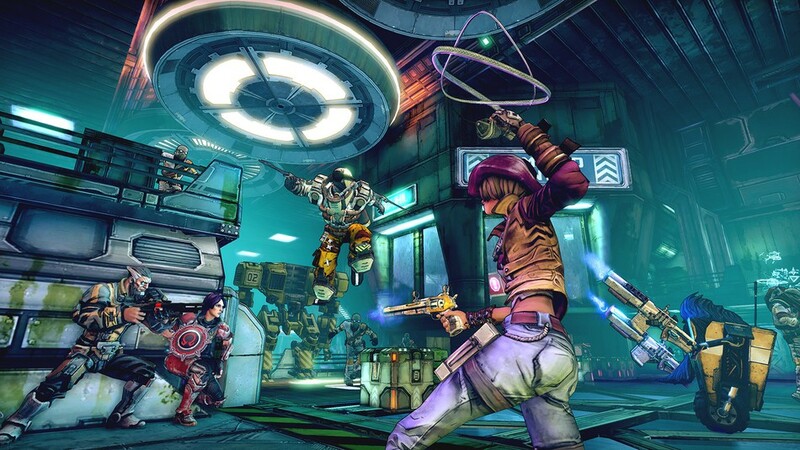 Borderlands 2 is the proper game sequel, treating Vault Hunters to more new characters and classes by way of the Siren, Commando, Gunzerker, and Assassin. Shoot everything and shoot often, then loot all the corpses you leave behind. That's the name of the game, after all. Not literally, but, you know. It's also on sale for $2.99, down from $14.99. If shooting and looting isn't your thing, you might want to opt for XCOM: Enemy Within instead, the standalone expansion to 2012's strategy reboot, XCOM: Enemy Unknown. You don't need the original game to play, but it's still very much worth going back and playing anyway, especially if you were a fan of the original games from 1994. Enemy Within introduces new characters, abilities, enemies, missions, and more for this expansion, which offers a solid challenge for strategy fans. It's on sale for $1.99, down from $9.99. All the games are available now via the Google Play Store, so you can download now for the inevitable lulls post-Thanksgiving grubfest. There's plenty of loot to hoard while waiting for that turkey nap to take you.